Light it up with our truck and event lighting. Small and large event seating. Tables too. From holiday parties to employee and customer appreciation lunches, we are your one-stop shop for serving up delicious, unique, and customized meals. 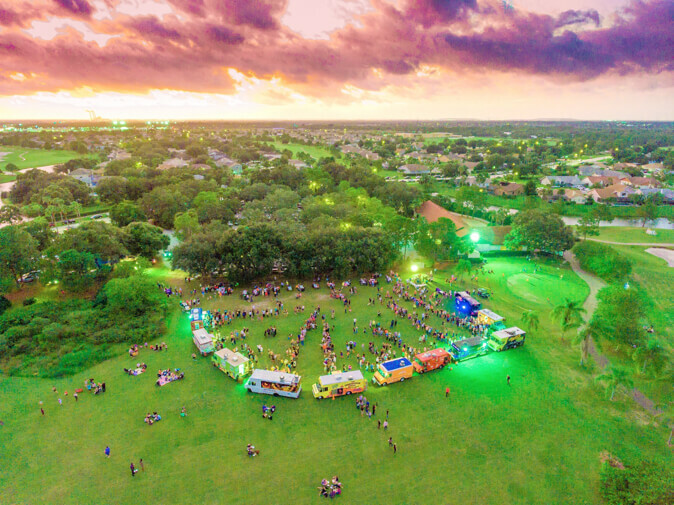 Whether you want your event to be hosted picnic-style with old-school plastic covers, or the elegance of a formal event with beautiful linen, we have what you need to realize your vision. Inside or out, we bring the kitchen with us. That means your food is hotter, fresher, and tastier. And with connections with the top cocktail concoctors, chefs, food trucks, and wine connoisseurs, all ready to take your party to the next level. We love to throw big parties, especially with our Mobile DJ Truck! 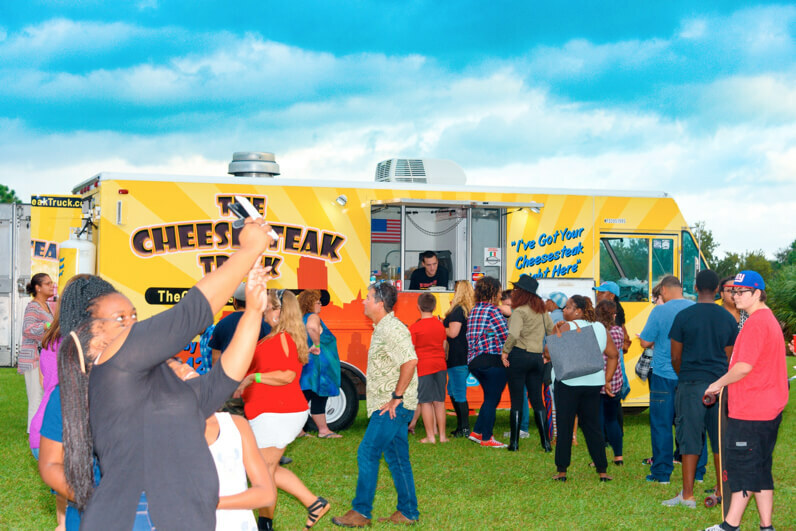 So you have 400 employees or party guests in one location, all hungry for delicious food? Piece of cake! We typically feed 150 people a hot meal in less than 20 minutes, and we can tackle a group of 250-500 guests in about 30 minutes. 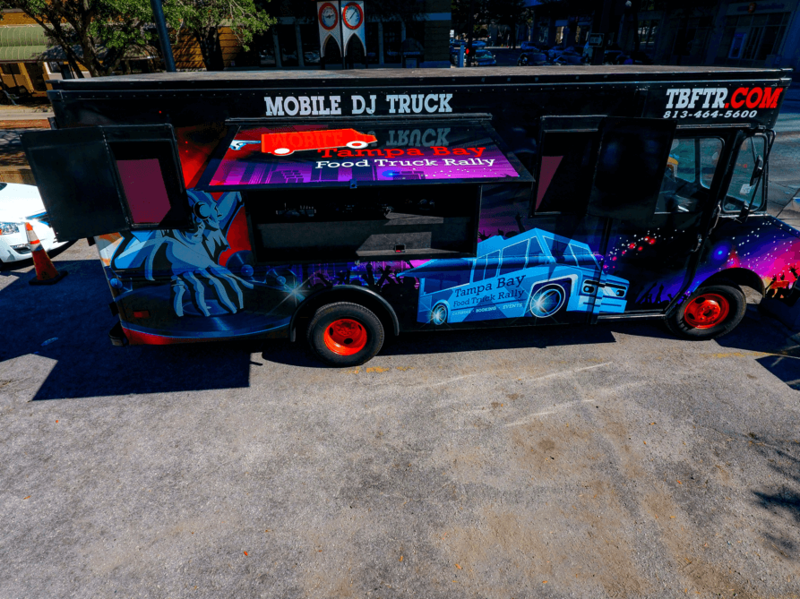 Mobile DJ Truck and more! Seating for a dozen or a hundred. Tables too. 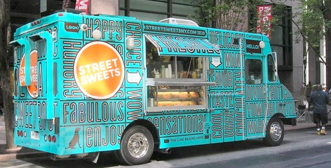 Looking to open the next hit food truck? 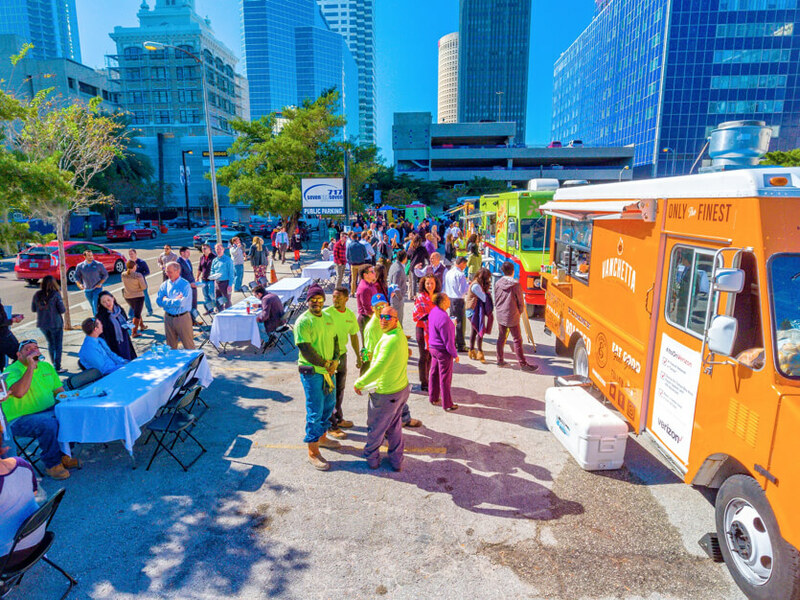 How can we help you feed your event?